Don't forget about our Creative Scraps Challenge Week going on!!! Today, Molly @ Army Wife Learns the Cricut will be showcasing her absolutely ADORABLE card!!! She keeps claiming that she is a beginner at using her Cricut and card making but this card blew me away!!! :) So be sure to head over to her blog and check out her project and leave her a comment! Now for the Reveal of My card! 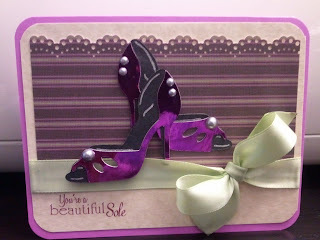 So Ivette (from Latin Scrap Diva ) the card and blog post are dedicated to you!!! I really hope you like the card!! 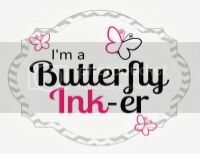 And be sure you all head over to her blog and check it out.....her work is adorable! Love her stuff!! How super sweet of you to make this card to show your appreciation to Ivette. I love this card and the boarder punch looks awesome that way. Great job Trish. I am sure Ivette will be touched. Yes Im very touch... this is super my friend... Love it..and yes I love to check your blog is so great.. knowing that youre here in FLorida too. I hope we could meet some day.. I really want to go to West Palm Beach Scrapbook Expo. Im checking your new challenge.. is so sweet how you three girls from distance, put all this together..
And love the UStream with Momo and all those girls..that's fun too. 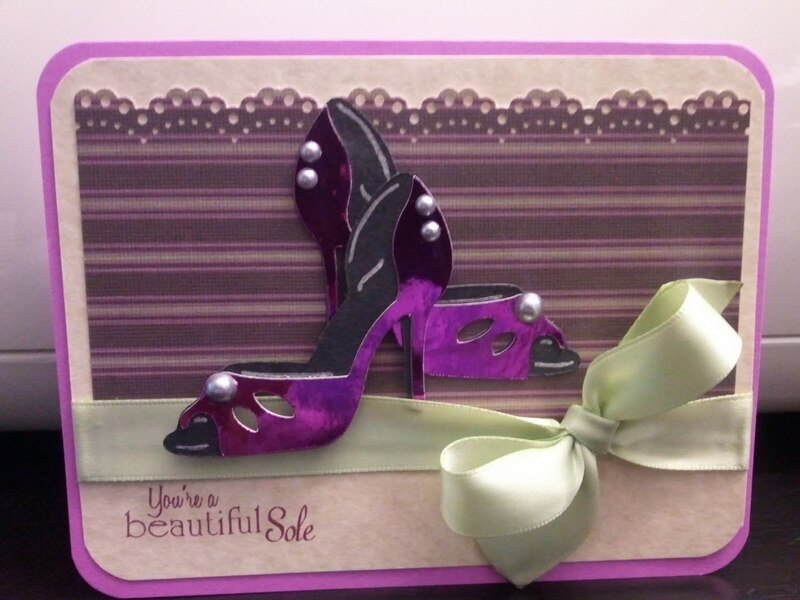 I just love this card Trish, Those shoes are to die for!!! You are so stinkin creative!!! You are so sweet! How cute is this! I am now a follower, love your work! I love the shoes....such a super cute card!!! You did a fantastic job!! Just love it. These shoes are so stinken cute! Love it! That was sweet of you to do. Ivette is an awesome woman! Love HER! Thanks for sharing! Love the shoes! I am sure she will love the card! I tried to leave a comment on your tea pot card! I LOVE the colors! They are just perfect!